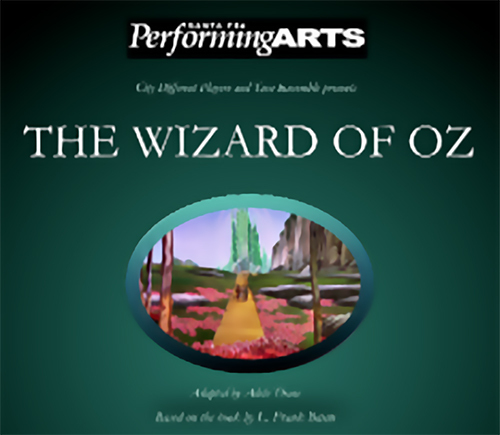 This non-musical version has all the lovable Oz characters and scenes as L. Frank Baum created them: Dorothy, Toto, the land of the Munchkins, the Tin Woodman, the Scarecrow, the cowardly Lion, the Wicked Witch of the West and the beautiful Witch of the North, and of course the Wizard of Oz himself. The performance features the City Different Players and the SFPA Teen Ensemble. Saturday • April 29 • 2 p.m.
Sunday • April 30 • 2 p.m.
For thirty years, Santa Fe Performing Arts has used acting and stagecraft as tools for educating New Mexico's children and youth and for exploring social issues facing our community. We serve more than 8,000 New Mexico children and youth annually and offer opportunities for adult actors to perform and learn more about the craft of acting. Our programs have attracted more than 10,000 students to participate in 90+ mainstage productions played to more than 100,000 local and regional audience members.